Cupcakes 'n Daisies: Red Week, Last Day . . . . I love red and plan to use a lot of it in my home remodel that is underway. My favorite red at the moment is that bundle of fabric shown above -- what a perfect selection to make a quilt for my redecorated living room! I love love love red. When I buy something, I go for red. And sometimes I just have to turn away and buy an other color. My fountain pen is red, the band on my wristwatch is red. My bin with red fabric is the largest one. We used to have a caravan and travel through Europe on our holidays and all our household items were red. When we went shopping in France or in Germany, I would always stop at kitchen ware and see if there was something in red that I did'n had in my tiny caravan kitchen. I think I had the biggest kitchen "trousseau" ever and all red. We sold the caravan some years ago, but I saved all my red kitchen ware. Red--such a pop of color! I have a red wall and love red paint. My favorite red might be red M&M's but close in the running would be a stunning red leather purse! I love the color red. I am doing the Farmer's Wife in red and white. Would love your bundle the use on it. Also, the little red cardnials that I see out my window each morning is a special delight. My favorite red thing has to be a loved Red and White Drunkard Path quilt made by gr-grandmother. I never met my gr-grandmother, nor did my father, but as a child my father slept under the quilt. I am sure the quilt has many stories to tell. Hope your bundle arrives today!!! Thanks for a chance to win one!!! My favorite red - my fabric stash which would be even better with the new bundle. My kitchen is red, I wear red, love red tulips. My favourite red item is my red pair of shoes. Just flat lace-ups but I love them and wear them with everything. I love red too. Nothing better than a red quilt, especially your Door County Cherry Baskets quilt. I think one of my favorite red things is red shoes! Thanks for the chance to win. First off those 3 barn blocks are looking real good. The pattern for your bundles will really look good with your blogger choice and can't wait to see. So fun! My favorite red thing today is the vase that my fruit bouquet came in yesterday! My favorite red thing is my husband's car. It's 25 years old, but still looks great and he still loves it. I love red more and more. I'm finishing a red and white quilt and my glasses are red. I love to wear red too. My favourite red thing is my Rouenneries quilt which I have been making since 2010 (it is for our own bed, so kept getting put on the back burner while I did quilts with deadlines) - I have 2 more sides of binding to sew down and it'll be all done! My favorite red thing is strawberries. I love the freshness and earthiness of strawberries. Of course, I like a pop of red in all of my quilts. Adds a great dimension to them. Thanks for the opportunity to win. My favorite red thing is a the side table in my bedroom. Favourite red thing? That's easy - how about a plump juicy cherry from my back yard in early August? I love the cherries almost as much as the squirrels do! Red is my favorite color. Probably my favorite thing that is red is also white and blue--our nation's flag. But, if I have to settle on something that is all red, it would be my collection of vintage red-painted child's chairs. I love them sitting in a corner, hanging from a peg, next to my fireplace, etc. My favorite red thing is my toaster. It just makes me happy in the morning looking at it. I will be definitely adding more red to my life. I love how your quilt is coming together. I wasn't sure about the hst's but love them on your version. What a generous giveaway! My favorite red thing is actually a vintage red and white pineapple quilt that my Mom gave to me. She tells me it was made by her grandmother's daughter-in-law a loooong time ago. Very faded, but very beautiful! Thanks for the chance! I love the look of your red bundle - I may have to order that if I don't win! My favorite red thing is my guest room. I have a red and white quilt, a redwork wall hanging, and a red quilt storage rack. The quilt rack is my favorite thing in that room - it's a Jenny Lind changing table that I painted red, and it's perfect for storing quilts. I've got to hit some garage sales this summer and see if I can find another one. I love red, white and blue together. I don't have much red in my home, but its a must to give a pop of color to a quilt. Thank you! Oh man, the 3 Barns block with the HSTs added, they take it to a whole new level! That pattern may be going on my list. Red - my favorite red thing at the moment is my daughter's senior picture, in which she is wearing a red blouse. I love the look of your Three Barns block! If one were to make this quilt king size - do you think it would look ok and not be 'too much'? I love red but, do not have a lot of it around except for a red coat - which really is not my favorite... :) Thanks! That's a hard question - so many red things I love like the red painted DIY child's chair we built for my son years ago. But then at the moment it's the red couch in my sewing room where a red and white quilt is waiting patiently for me to continue hand quilting it. Your 3 barn block looks phantastic, I can hardly wait to see it all coming together. Thanks for the chance to win and especially for including your readers from all over the world. I'd have to say apples. I really love them with peanut butter. Yummy. Your red posts were fun this week. Thanks for the opportunity to win. 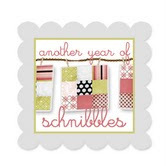 Your blog is always inspiring...I wish I could get as much quilting done as you do!! I have red accents in my kitchen so my favorite red thing is my KitchenAid...I love it, I don't think I've stirred anything since I bought it. My favorite red thing is a juicy ripe tomato straight off the vine! Slice that baby, sprinkle with salt & pepper...mmmmmmm. Only 7 months 'til September, tomato season. I love your red fabric giveaway! Right now, probably my red dining room walls! Thanks for such a wonderful blog and great inspiration. Oh I love this bundle, it is sitting in my cart right now on FQS and has been for a few days! My favorite red thing right now is my camera. I have a red sweater that always makes me look and feel perky when I wear it. Love your 3 Barns! They are coming out so beautifully! My favorite red thing? My little red card holder....I can always find it in my pocketbook! Thanks so much for your blog, quilts, and this wonderful giveaway. my favorite red thing ... hmmmm ... hmmm ... uhm ... oh! i know!!! my favorite red thing is the quesadilla maker!!! see!!! i can find a favorite red thing!!! Oh I would love a red couch, now that would be cool! My favorite red thing is my first quilt. Well it is actually red and white. I made churn dash blocks and added redwork to make a wall hanging only the creator could love. I see plenty of mistakes now that I've been educated but it will always have a special place in my heart and in my sewing room. Thanks! I'm not looking to win your bundle (garment sewer, not quilter), but I do enjoy looking at your creations and I love red so I thought I would stop being a lurker and throw in my two cents. My favorite red iteam would be the wood sled with red runners that we would wax up before taking out on a snow day as a kid. I know we couldn't possibly be the only ones who tied to dog to it to go down the hill even faster. My sister may have gotten our little red wagon, but I got the sled! I have lots of red in my home as it's my favorite color. My favorite red thing is the red walls in my sewing room. The sewing room is actually the master bedroom and I loved have the red walls so much I kept them when we moved to the spare bedroom and gave up the master bedroom for the sewing room. I've enjoyed your red blog posts this week. Thanks for the opportunity to win your red fat quarter bundle. A quilt in reds is on my radar so I'd love to win this. My favorite red things are my red toile upholstered chairs which will unfortunately be going away soon as the fabric is worn and grimy after fifteen years and I'm searching for new fabric now. Oddly enough, I'm thinking about blues! Back in the 60's I owned a red couch and loved it so. I wonder where it is now? Today my favorite red thing is my 2002 red t-bird. You can never have too much red in your life is my motto. Thanks for the fabric giveaway. I love peppermints. And Raphael (the TNMT who wears red). And my red tank top. And my red pajama pants. And LuLu's red fairy wings. And steak. Unlike my mom, I am not red-challenged. Looking around I see very little red. Victorian greens and pinks. Red would definitely clash in my house. 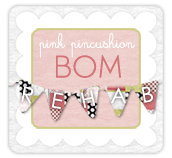 But, since following your blog I am seriously considering redecorating!!! Your red quilts are gorgeous. I think my favorite red thing right now is your Lifetime Quilt #73. I was going to say the most recent baskets, Sassy Toulouse, Countdown to Christmas, Christmas in the City, Cooper in his red berry necklace but 73 is ideal because of all the different patterns, the explanation of how you did this and the perfection of it. Thanks for a chance at this give away!! and for sharing. I have lots of favorite red things and a red sofa like you. I am always looking for a pattern and fabric to make a new quilt for it. Even though I love red and have alot of red things, I didn't even hesitate on picking my favorites......my dachshund's Daisy and Rosie!! Thank you at a chance for the giveaway......hope I win, I love the fabrics!! The ruby necklace my husband gave me for our 40th anniversary. And thank you for this opportunity! My favorite red thing right now is the red/white Christmas quilt I am working on. I have to admit seeing all your red/white quilts is what inspired me. I know I will have more in my future.. so many shades of red who can not want to use them..
My favorite red thing is my red snowball quilt. I made it when I found your and Nicole's blogs and you were making it. I reproduced it and it looks beautiful hanging on a ladder in my living room. MMMMM yummy fabric bundle!! I do have a favorite red thing which is a group of little red hearts my mom gave me a long time ago that I hang on my Christmas tree every year. They are a favorite because they remind me of her. She gave them to me because she knew I have always loved little red hearts. My dad always used to say, when asked what color he would like (game piece, candy, etc). "Any color as long as it's red". Thanks for the opportunity to win your giveaway! I have a red pottery pitcher that belonged to my Grandmother. I love it. Thanks so much for the great fabric giveaway. RIght now I think my faorite red thing would be my red hair. As a kid I wan't very fond of it, but I learned to embrace it and now I love that my hair is an uncommon color. My favorite red thing would have to be the single red rose I get for Valentine's Day and for my anniversary. My husband's been doing it for 33 years. Of course, that bundle would round out the reds I've been collecting for a quilt. Then that would be my favorite red thing. Hi Thelma, my favorite red thing is my giant red chair. It sits two people and my feet dangle off the edge. Think Lilly Tomlin and her comedy skit sitting on her huge couch. Lol my chair lives in my sewing room and its where I do my hand stitching and watch tv. My favorite color is red, so this fabric will be MUCH loved at my house. I absolutely love all your red! Right now my favorite red item would have to be the red wool scarf that keeps me warm this time of the year! Red tulips are coming!! My favorite red thing would be home grown tomatoes. If Summer had a flavor, it would be home grown tomatoes (well, maybe watermelon would qualify too...). Thanks for the opportunity to win your gorgeous bundle! I LOVE RED FABRICS!!! Second choice: soft & chewy, red cinnamon jelly hearts! Thanks for the chance- those are lovely fabrics! I love that red bundle that you have put together! My favorite red thing is my red purse. Sadly, it's getting a little worn, so it is time to start looking for another red one. My favorite red thing is my Kitchen Aid Mixer. It makes me smile everytime I use it! Thanks for your generosity. Enjoy your blog every day. My favorite red thing is nice ripe strawberries. Would really love to win this bundle of fabric, because red is my favorite color, and I have never made a red quilt. Your quilt is looking lovely! I have to say you always dress up the quilts in a way I would have never thought and they always turn out gorgeous. Lately my favorite red thing is your Door County Cherry Baskets quilt. Swoon! Hope you have a wonderful weekend and I hope you get your bundle soon!!! My favorite red thing is a small child's rocker that belonged to my husband and his mother had painted red. We now keep it in our living room to hold small quilts and pillows. Thanks for the giveaway - your red selection is fabulous. My favorite red thing is a cocktail napkin I made in my early teens that has a frayed edge (on purpose) and an embroidered martini glass done in black thread on a red napkin. I was learning to make things to go in my cedar chest for my 'own' home. I still have them! LOL Brings back so many memories. My favorite red thing would be a nice sun-ripened tomato picked right out of the garden. A little sprinkle of salt and pepper and yum! You create such gorgeous quilts and I enjoy learning your thought process behind your creations, too! My red leather chair! Most comfortable chair ever! I love vintage Pyrex and have a few lovely pieces that I am using in my sewing room. I hope your red bundle arrives soon! FQS is so good about shipping notifications, can't you track it online? My favorite red thing is a red sweater I've had for years. It just makes me feel happier when I wear it. Thank you, Thelma. The "Red week" blogs were wonderful. I love your use of the color in quilts. My favorite red item are the Fiesta dishes I use each day. What a pick-me-up color!! Love those red stars! I actually have a red lamp shade in my living room that makes me really happy every time I turn on the light. My husband hates it! My favorite red thing is a painting I did in art class. It isn't a great painting (at all), but in the painting, I painted the wall a bright red. When I see it, I have to smile at the bold choice it was. (and it is a great "neutral" color!) Hope your fabric gets there soon! Super sorry you are having to wait for that bundle! Waiting is hard! My favorite red thing is strawberries!!! I love Red, I have used red many times in quilts. I like a dark red, not cherry red or Christmas red as much. After our renovations I seem to have number of red accents in my house. My most favourite reds are the ones that you show us (yep I am a brown noser). I carry a small red purse that I bought in Italy! Yes, that's right. We were on a tour and had stopped in a wonderful hill town called San Gimignano (remember the movie Tea With Mussolini?). This purse was hanging in a shop window and just sang out to me! I had to have it! I really splurged, but I carry this purse all the time, and so I have gotten my money's worth out of it. 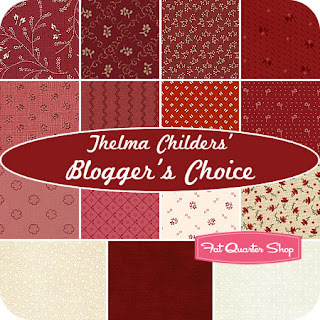 I love looking at your red and white quilts, Thelma, and would love a chance to win some fabric. Thank you! **oh and just in case you wonder (as so many others do) if I'm not worried about falling off if I sleep, Nope! I have arm rests on either side of me and hubby has a backrest that in in front, so I'm in there pretty secure, LOL. I'm wearing it right now to show my support in February for heart month. A red sweater. Would love for a chance to win your red favorites. As a fellow red lover, I have to say my favorite is my red converse shoes. I'd wear them everyday if I could. My favorite red thing is my Sewing Machine (Janome Horizon). Heywould Janome (yes, I named my machine) is my favorite sewing partner! The HSTs really glam up that block! Love it! Thanks for offering the giveaway, Thelma! I love red. I have a few favorite red things. First is the walls in my kitchen, red. Second, in my office, red, black and white. I think my favourite red things are red Smarties, or maybe my local football club (MFC, the 'Boro'!) or perhaps my red sewing machine cover (or rather, the sewing machine that's underneath it!) Hmmm, tough choice but I think I'll plump for the Smarties! Thank you! P.S. I hope you get your bundle soon - are you sure Cooper isn't hiding it from you?! Your red quilts are a favorite to look at, but my red coat is a favorite to wear. Fun giveaway! :) Love your 3 Barn blocks. Sweet! My favorite 'red' is my own red checked couch. It used to be green 60+ years ago and living in my parent's house. I had it reupholstered several years ago and just love it! My favorite red item's just arrived this morning from the ups man and they are the Thelma Childer's fat quarter bundle!!!! They are awesome in person. Hope your bundle arrives, soon! Thank you for the give away. My favorite red thing is my lovely red Toyota Camry, Ruby. Thanks for a chance to win your fat quarter bundle. Love your 3 barn blocks! I have to say my favorite red thing....is my red dog :-) Thank you for such a sweet giveaway. These fabrics are gorgeous! My favourite red thing would be my lovely comfy recliner chair where I sit in marvelous comfort to do all me stitching and knitting. Oh, I want Thelma's choice! My favorite red thing (and I have many since I love red) is a pair of red heart shaped earrings that my two daughters gave me in 1980 for Valentine's Day. I was sick and my husband was traveling and the "girls" shopped on their own and gave them to me. I wore them yesterday and two people noticed and asked about them. I texted both girls and told them that I had the earrings on and was thinking of them! I never considered myself as a "red" person, but you have converted me. I love seeing how you use red, and how beautiful red looks with just about every other color. My favorite red thing right now is all of your red quilts. I love looking at them and have added several to my "plan to make list". I love the last one you shared and the quilting, " oh man I want one just like it." LOL My favorite red thing changes...often! Right now it is your bundle. I'm so sorry yours hasn't arrived yet! I love it and have been dreaming of ways to use it. :-) My next favorite red thing is a wallet I have. :-) Love your quilts! And if I could, I'd go get a red couch too. Have a happy Friday Thelma! I have loved your bundle since I first saw it! My favorite red thing is Lindt Milk Chocolate Truffles that are wrapped in red. Thanks for the great giveaway! I so hope I win! My red "flavored" quilt, or my closet full of red sweaters. I think the quilt I'm going to make with your Fat Quarter Bundle will be my favorite "red" thing! Thank you for the contest! My favorite red "thing" is my red haired daughter. She is beautiful and has beautiful personality. So happy and fun to be around. My favorite "red" thing is my grandson. He doesn't have red hair but his nickname is Red! My favorite red thing is my 2007 Toyota RAV/4 in Barcelona Red! I, too, am a lover of red. I have a red sofa, I used to have a red car, and I sleep under a red duvet at night. I also use red all the time in my quilts. What a wonderful give away! My favorite red thing right now is my almost finished Miss Rosie "Lumiere de McGuffey" quilt. Thanks so much for the generous giveaway. I would LOVE to win your beautiful bundle!!! I really love red and white quilts! I have one in the making, oops, actually two in the making. One is a bow tie block and the second is a bear paw block made with the leftover hsts from the first one! Red is one of my favorite colors too! I have a red car, red coat, red clothes, lots of red fabric, and my hair is auburn - a shade of red as well! Love your bundle. Thanks! HI! I LOVE RED FABRICS! I have always loved red and own many, many red things! My all time favorite has to be the red patent peep toe high heel pumps I bought when I finished chemo and radiation treatments for breast cancer. They went a long way to help me mentally recover! All things red, but my all time favorite is, Banjo, my red Border Collie! I have a small glass bowl filled with little wee pieces of sea washed red brick I collected over the years on Grandview beach here in Hampton, Virginia. They are from a lighthouse called the Back River Light House that used to stand just off the beach. It was destroyed over the years by various nor'easters and hurricanes. My great, great, great-grandfather was the lighthouse keeper for a few years back in the 1800's. That is my favorite red thing at my house! My favourite red thing is my little red car! And this winter ( I'm in Australia) I'm buying a new red coat to match it! Thanks for the giveaway. I LOVE red too! My favorite red thing I have is a beautiful stained glass lamp. It is mostly red with some orange, gold, light brown. It is my favorite lamp! Been enJOYing red week! !Thank you! Thanks for the giveaway. I missed out on the last one. I think my favorite red thing will be the next quilt I make, whether I win your bundle or not. My favorite red thing is my French General stash. You know it is predominantly RED. I buy extra fabric in the red colorway from them - love the tone! Thanks for the giveaway Thelma! I love the red fabrics--but my favorite red thing would have to be the red walls in my dining room. I am surrounded by so much red that it is hard for me to choose which is my favorite. I will say today I can narrow it down to the following three ... my red kitchen, the red pillows that adorn my bed (which my husband complains about there being too many!) and the red tulips that I replenish every couple of weeks in the vase on my dining room table! I love to entered into the giveaway. I can't believe that you haven't received your bundle yet though. My favorite red thing is red roses! You crack me up! Even the goodies you EAT have red in them! I wore my favorite red thing yesterday: A red Valentine sweater. It has embroidered and beaded pink, orange, white and burgundy hearts on it. I bought it through the Coldwater Creek catalog many years ago and only wear it for Valentine's Day (so it might last forever!) Thanks for the opportunity to win! I have a lot of great red things...one of my favorites is a red hand painted sign that says "cherish each new day". And chocolate covered strawberries! Well, you know I love everything red - but my favorite thing (besides every single piece of red fabric I own) is my house! It is a dark barn red and I love it!! I really, really think your fabric bundle would fit in my world quite nicely! Oh, and I vote for a MONTH of red. It's my birthday MONTH, so it's only right that it be red MONTH as well! You have such great taste! Red is my favorite too! Thanks for blogging and sharing your wonderful work. My favorite red thing is my Nissan Altima. I sure do like that car. My favourite red thing is the front door of my house. It has been different shades of red in the past, but is a beautiful bright fire engine red now. Thanks for the giveaway! I've enjoyed your red week! How fun. My favorite red thing is gala apples. I eat one everyday for a mid-day snack. boy, it's tough picking my favorite red thing...it would have to be my antique garnet ring, that I won at an auction probably 30 years ago. I've worn the band down, and have had to have the prongs repaired. I just love it. Thanks for the opportunity to win some of your fabric! I have been working on a scrappy red, white and blue nine patch quilt, collecting odd bits of red fabric here and there. It's a lot of fun, considering blue is my favorite color. Another favorite red thing I have is a really nice red leather recliner that is so comfortable for reading. It reclines at any angle from straight upright to a nice napping position. Sometimes more napping than reading gets done in that red chair! So sorry to hear you haven't received your bundle yet. The waiting is the toughest part, I know. My favorite red thing (really? singular? Gosh!!!) is my KitchenAid Professional 5 Plus Mixer. Gosh, can I cook up a storm with that thing. I do have red shoes that I adore too, and there's the red ... oh yeah! one thing!! ok! Thanks for the opportunity to win. Have a great weekend. My DH would chuckle over this one but my favorite red thing would be his two MG cars. Especially the 1958 MGA. We always tease him about the fact that all his little convertible roadsters are red. Gotta love a red convertible! If it has to be real red, I have to say my long sleeve red shirts! Absolutely love them :). If it can be a shade of red, say maroon ... Then my new comforter set my DH gave me for Christmas! My favorite thing is our red front door. When giving people directions to our house I always tell them to look for the white house with the red front door and they always find us. Thank you in advance for the nice giveaway. I LOVE red too and use it throughout my home in decorating so I can't say that I have a "favorite." I love them all! Thank you for the giveaway and I hope you get your pretty bundle soon! I have a mostly red quilt hanging in my hallway that I love. It was so much fun to actually finish something and display it. Thanks for the chance to win a Thelma bundle. I love your blog! I use red if only a little in most of my rooms. But I especially love my stash of red fabric. It's one of the shortest piles in my stash because I'm always using that color. Enjoy your blog. ~ Jody R.
Thanks for the giveaway, it will make someone very happy to have the Thelma mix. My favorite red thing is my son's race car! I love that bundle! My favorite red thing is a British double decker bus! Reminds me of how much I love London and England and how much I miss it there! I have a red mixing bowl that was a bridal shower gift from almost 30 years ago, it still makes me smile every time I use it! Thanks, Thelma, for all your red posts this week. Your Door County Cherry Baskets quilt is incredibly gorgeous. Good job, and the quilting is amazing. And your 3 Barns is looking just swell. My favorite red item is my pair of red garnet earrings! Thanks for the chance to win . . . Currently, my favourite red thing is my purse/bag! A gift from Santa (which is really me!) & I love it to the moon & back. Thank you so much for a chance at the give-away! I've enjoyed your "red" posts this week! And I would LOVE to win a red "Thelma" bundle! My favorite red thing right now is my set of red everyday dishes--- we use them year round and they just seem to work with every season. Big red fan here! My favorite red thing is a funky vase that my hubby bought me. Thanx for the chance! Your 3 Barns is just gorgeous. I love Carrie Nelson's patterns. I love red and as Mary Ellen Hopkins used to say back in the day, "All Reds Go Together". My favorite red thing here is my red dutch oven. Tomorrow I am making bean soup in it. My favorite red thing . . . hmmm. I'm going to go with the favorite red thing in my sewing room, which is a coiled fabric basket a friend made for my birthday a couple of years ago. It will be my lucky basket if I win the fabric bundle! Red? Hmmm.... The three red and white quilts I made after seeing the red and white quilt show in NYC? Or maybe strawberries? Or cherries? Or apples? I think I love all things RED! I LOVE red!! My favorite red thing in my house is a red plate that I serve cookies on for my company! I would love to get these red fq's and make a red lap quilt for myself!!! I am a red lover too! One of my favorite red things is my red tea kettle. It cheers me whenever I see it on my stove. Thank you for the give away! Lots of favorite reds--but at the top of the list is the set of Old Testament Stories redwork embroidery blocks made by my grandmother in the 1920's. They will become a quilt as soon as I find the right red fabrics to go with them. Hmmm, that's tough because I love red. Lots of red in my stash, my laptop is red, I'm adding red as accent with the mostly tan furniture in the new home we are building. But, I think my favorite red right now has to be the little deep red glass tiles that will be randomly scattered in the tile backsplash. I love red! I am knitting a red sweater for myself but I think my most favorite red item is my red shoes. They are stylish and the most comfortable shoes I own! My favorite red thing is my red wool coat with white fake fur trim. My family teases me about my santa coat, but I love it! My favorite red thing is my Kitchinaid mixer. I just love that splash of color on my counter. Actually, I love all things red-it's an "energy" color for me. WooHoo looks like I'm gonna make it just in time to enter your generous give-away...thank you so much :) I am really drawn to red - especially when it comes vintage kitchen collectibles. However, my favorite red item would have to be my modern day red coffeemaker 'cause I could not live without my morning cup of joe! So hard to pick one favorite red! Love everything red, but especially when it's fabric in a red, white(cream), and blue quilt like the Quilts of Valor that I've made. My red stash is the largest in my sewing room, too!! And I love Cardinals in the backyard in the winter! Thanks for the chance to sew with some gorgeous fabrics. I have to go with the red strawberries that I am having with my lunch! Yum! Red is my favorite color! I have a red car and most of my quilts have a lot of red in them. Love your blog! My most favorite red is a red cardinal sitting on a branch after a blanket of snow has fallen. I love red! My absolute favorite red item would be a ruby ring my hubby gave me on our first Christmas. I was in total shock, as we had only been dating a few months. It's absolutely beautiful, however the sentiment is greater. I think he thought it was my birthstone, as I wore a ring my mother gave me, which I have now given to my daughter - love, love, love RED! My favorite red thing is an outdoor covered glider my in-laws lake cabin. It belonged to my husbands grandparents and is just a wonderful place to relax and while away a summer day. Thanks for the chance at your red fabric giveaway...hope you get your bundle SOON! Hmmmm...I'm going for my red Kitchen Aid mixer. Love it. This is an easy one to answer. It is the red velvet teddy bear that my Mom made me for my birthday one year, probably somewhere in my thirties then. Just love it. I love my mostly red Buggy Barn Crazy Cats quilt. Thanks! Love your block. Your quilt is going to be gorgeous. Red has always been my favorite, too. You know it goes with everything. My favorite today is my new red winter coat. Thelma, I loved your red week. Red is my color, too!! No, no, you must keep posting your red things! Loved your posts this week! Love the three barns quilt, my daughter is the most favorite thing in our lives and her favortie color is red. Would love to work on a red quilt for her. Keep up the wonderful posts, love them. Got behind in reading them, as I had a right knee replacement. My favorite red thing? That's HARD to pick! Either the set of red mixing bowls that I was sure were stolen when our house got broken into while we were moving and then found in a box several years later. Or the red phone shaped like a high heel that my Hubby bought me while we were dating. My favorite red thing is my PT Cruiser. I love that car. I just recently realized that I do not have much red in my stash - I need more red! I love what you put together.
. . . I love red too !! . . . my 2 favorites at the moment are my red pajamas and my red shoes . . . I call them my "Dorothy shoes" . . .